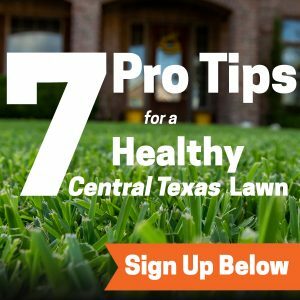 Prevention is the best treatment against lawn fungus. You can also apply various fungicides, both chemical and organic to aid your lawn in its efforts to fight back against the disease. brown patches, leaf spot, red threads, gray splotches, orange-red powder and more. Most fungi, including brown patch and pythium blight, thrive in moist conditions. Mornings are better since your lawn can absorb all it needs and dry by the afternoon. Avoid walking over the fungus and clean your yard tools after they touch the infected area. It is easier to catch a fungal disease and harder to fight off when your lawn is weak. Older & taller grass is stronger and stands a better chance of fighting back against disease. Instead of allowing the leaves to pile up, remove them completely or use your lawnmower to mulch them into the grass. TOP- DRESS YOUR YARD TO IMPROVE THE SOIL QUALITY. Top-dressing is a layer of nutritional, well-draining growing medium. The top-dressing will improve the soil’s ability to drain, thereby fighting fungi! Many fungal diseases go away on their own with proper lawn maintenance. Gray snow mold usually goes away once temperatures reach above 40 degrees Fahrenheit (4 degrees Celsius), especially if the temperatures climb quickly. Likewise, a red thread usually disappears by summer, when the weather heats up and dries out. Even though these diseases are unsightly, they do not always mean immediate death for your lawn. If you think your lawn is experiencing any of this fungus, we suggest determining which type of fungus your lawn has and which chemical can take care of it best before purchasing and applying a fungicide. EMERALD LAWNS will gladly help you prevent, treat, fertilize and give the best care for your lawn so you don’t have to worry and or wonder what to do. Click here or give us a call today for your free estimate! By Emerald Lawns| 2018-03-14T12:07:21+00:00	September 1st, 2016|Lawn Diseases|Comments Off on Experiencing Lawn Fungus?